With two young boys and a brand new baby, I’m ALL about easy (and delicious!) meal ideas that we will all enjoy. My love affair with quesadillas started during my last (and I really mean LAST) pregnancy, and has continued over the past few months since our little man arrived. 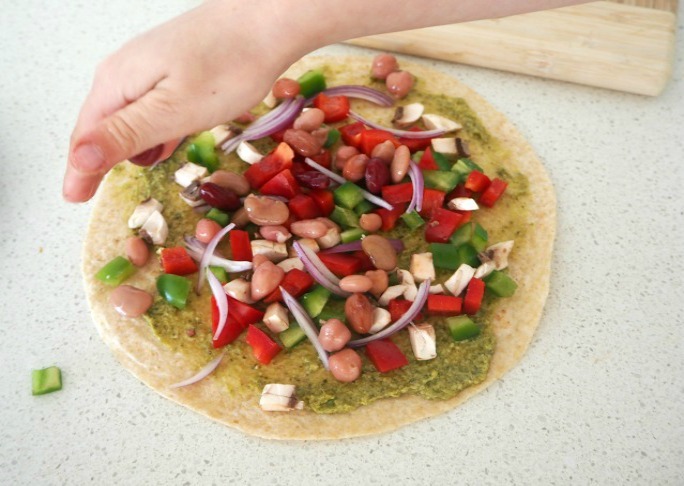 I love just how easy they are to make; I can use whatever ingredients I have in the fridge and pantry and best of all the kids can help put together a yummy lunch. We’ve experimented with a lot of different combinations, but one of my staple ingredients to make a nutritious quesadilla is avocados. I was re-introduced to them by a friend at lunch one day, when she made a fresh bread roll slathered with fresh avocado, baby spinach leaves, tomato and cheese – yum! 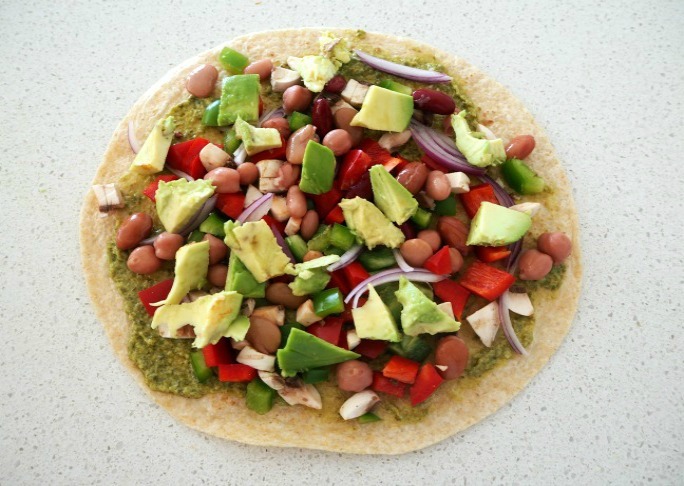 This combination quickly became my ‘go to’ lunch during my pregnancy and ignited my current obsession of all things avocado. 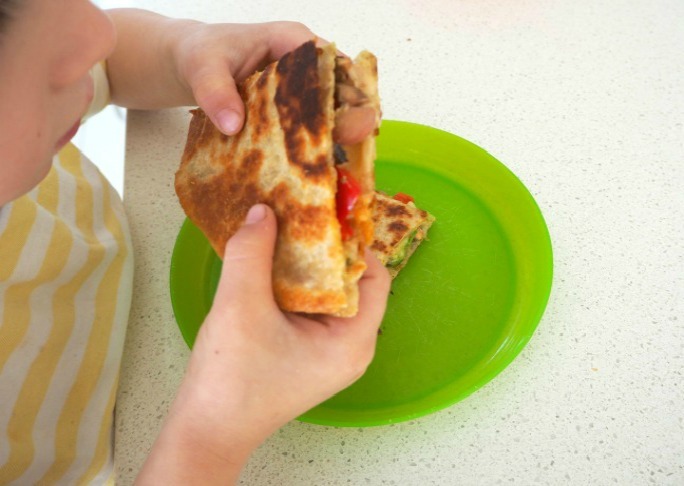 Both of my boys have been quick to join my love of quesadillas and avocados and after practically inhaling my entire lunch on more than a few occasions, I’ve started making extra – just so I don’t have to share! 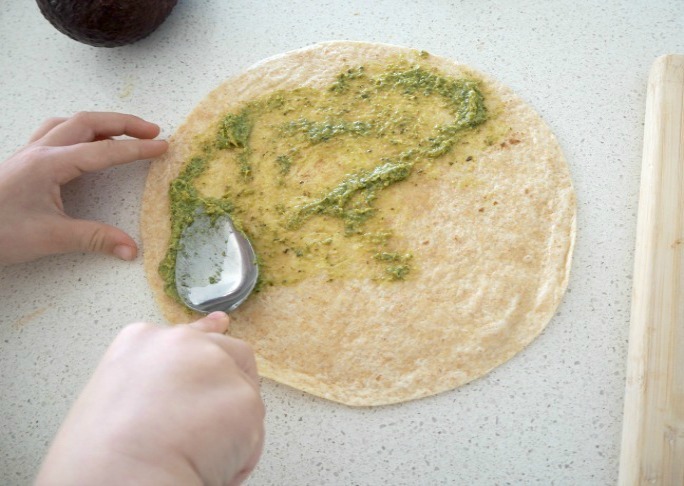 Including avocados in our quesadillas is a great way to add some extra flavour as well as fibre and healthy fats to our diet, as they are packed full of nutrients that both myself and the boys need. 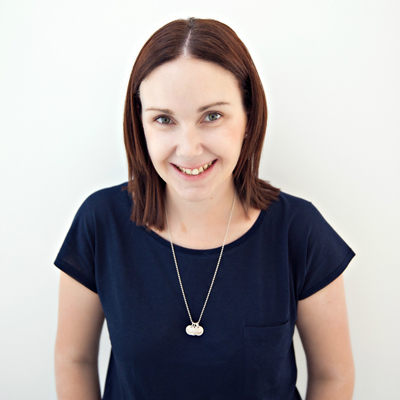 They are low in sugar and sodium and just ¼ of an avocado contains 15% of the recommended dietary intake of folate for a pregnant woman, and 30% of the RDI for adults. 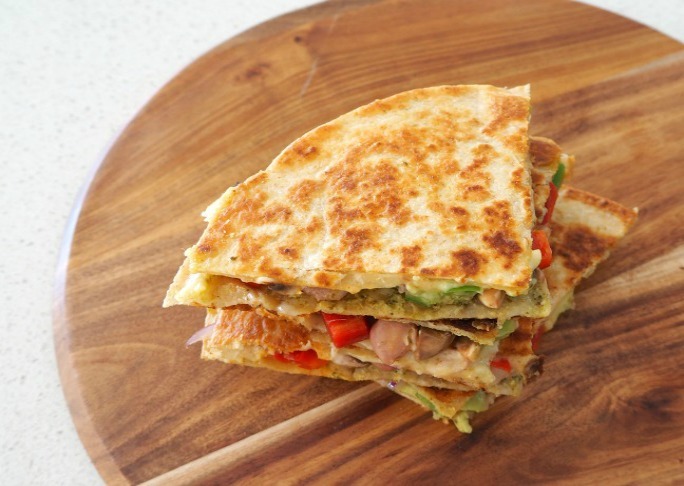 When it comes to the combination of ingredients you can use for quesadillas, the possibilities are really are only limited by your imagination and what you’ve got in your fridge and pantry of course! 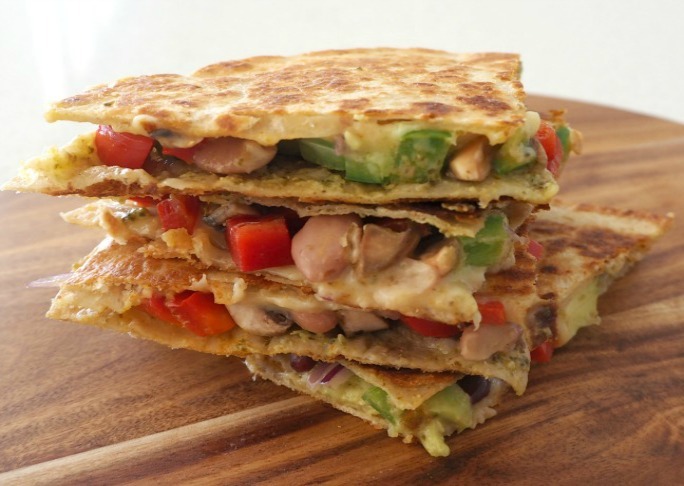 Some of our favourite combinations include: Chicken, Tomato, Spinach, Cheese and Avocado; Avocado, Chicken and Cheese and these Cheesy Vegetarian Quesadillas with Avocado. This recipe makes just one, but can easily be increased if you have hungry little mouths to feed and don’t want to share! 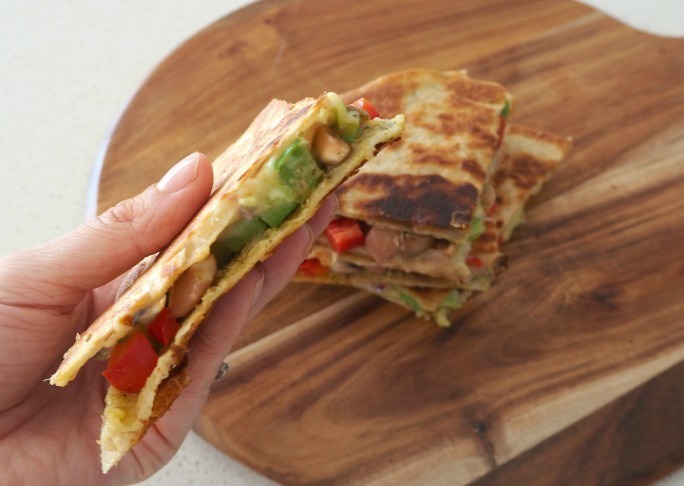 These Cheesy Vegetarian Quesadillas with Avocado make a great lunch and also make a healthy snack for the kids after school or even to pop in their lunchbox (they are just as tasty cold).